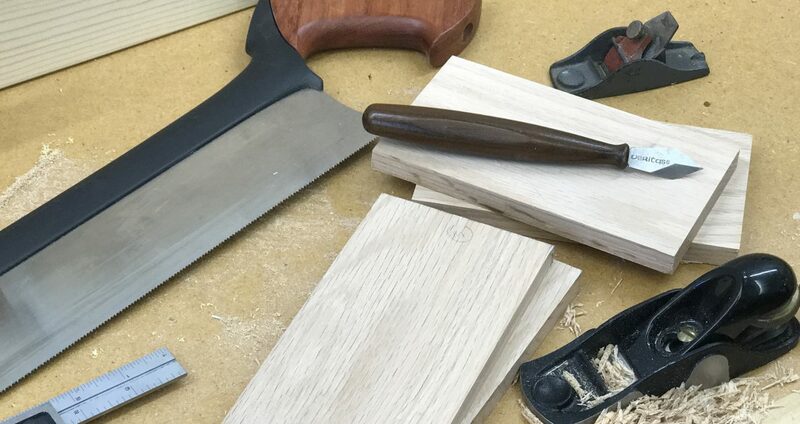 It’s been my experience in talking with woodworkers that we all share a common affliction — we’re all pack rats. We can’t resist a bargain. Or snapping up old, rusty tools because there’s got to be something you could use it for in the future. My dad was an avid yard sale junkie. Every weekend he would head out in his pickup truck and make the rounds. He’d end up with all sorts of interesting items and collections of stuff. And when I’d visit him in his shop, it wasn’t unusual for him to show me his latest acquisition and say, “Do you need one of these?” I picked up a lot of free junk that way. At some point I acquired a collection of old screwdrivers. Don’t we all have a collection of them somewhere? Whether the tips are worn out or broken, we just can’t bear to throw them away. Such is the case of the old screwdriver you see here. It used to be a Phillips screwdriver. But the tip was mangled beyond use. So I cut it off. And ground the shank down to a point. And you know, that tool has been used on so many projects. It’s a handy punch. The wide angle of the point makes it much more stout than a brad or scratch awl for marking hole locations for drilling. And it’s less likely to split the wood as the narrow point of a scratch all might. The hardened steel shank means that I can use it as a burnisher to sharpen card scrapers, if needed. Plus, I’ve never had to sharpen it in over 15 years of use. So this tool hangs near my workbench. Right next to my scratch awl. And where I can quickly reach it whenever I need it.